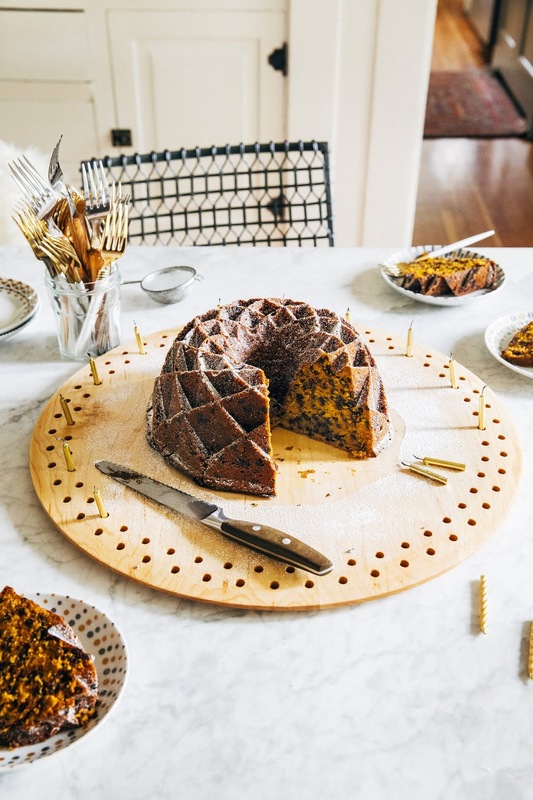 This recipe is sponsored by Vermont Farm Table, who provided the compensation to make it happen as well as the beautiful maple cake platter you see in all the photos! Their Hundred Year Birthday Board is perfect for birthdays and anything that requires celebratory candles, since it has pegs for almost 100 of them. As always, all thoughts and opinions are my own, and thank you for supporting the sponsors who make Hummingbird High keep running! I've never been the best at settling back into routine after a vacation; I suffer from what's known as "post-vacation blues" in which I spend the first few days back home mopey that I don't live in whatever city I just visited, bitter that I'm back to eating salads for meals, and annoyed at all the mundane and trivial chores I have to do. It's ironic that I get that way because towards the end of my vacation, I'm usually complaining about how all the tasty delicious food I've eaten has made me fat and how I'm in desperate need of a workout and how I just want to do laundry and sleep in my own bed and blah blah blah. I have to remind myself that, the truth is, as much as I loved London and Paris, I really like being at home in Portland too. Fall in Portland is an especially wonderful time; the rain and the cold hasn't truly settled in yet, and we get blessed with some perfect sunny days to show off the pretty golden, yellow, and red foliage of the trees. In the past, I've always seen the month of October as the quiet time where things settle down after the whirlwind of summer trips and travel. And there's something to be said for that —I should stop being wistful for the long, hot days where I was on the go all the time and instead celebrate the peaceful calm of October. So what does that mean exactly? 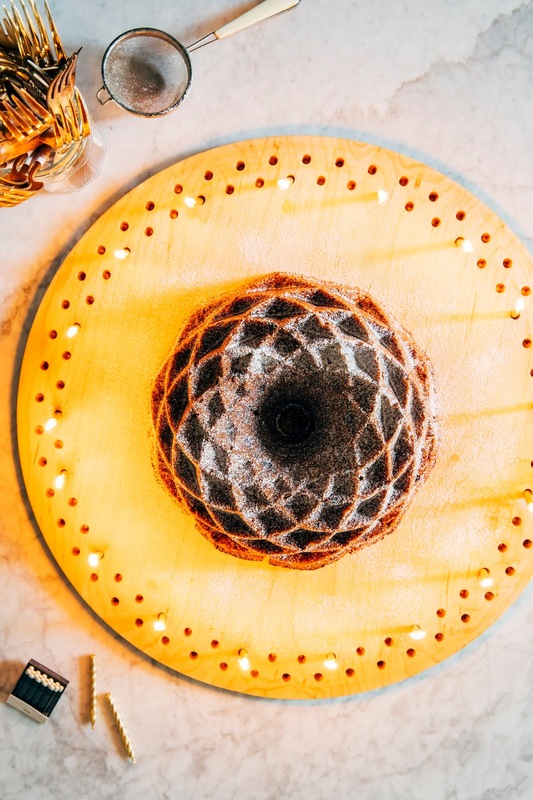 To me, that means embracing all things hygge: lighting candles, drinking mugs of steaming hot beverages, cozying up in thick wool sweaters, and eating slices of this pumpkin tonka bundt cake. For this recipe, I've swapped out most of the ordinary spices found in pumpkin bakes and replaced it with tonka bean shavings. If you've never heard of tonka beans before, I'm not surprised — tonka beans have been illegal in the United States since the 1950s because the beans contain a large amount of coumarin, which can cause liver damage. However, a quick Google search informed me that the ban was mostly unfounded: you'd need to eat at least 30 beans to reach those toxic levels (which is roughly around the same amount at which the perfect legal nutmeg starts to become poisonous too). And one bean goes a long way — a few shavings of the stuff will turn your desserts otherworldly, imparting a delicious, woody vanilla flavor and smell somewhere reminiscent of freshly cooked caramel, magnolias, and the forest after it's rained (lol, I'm not joking). 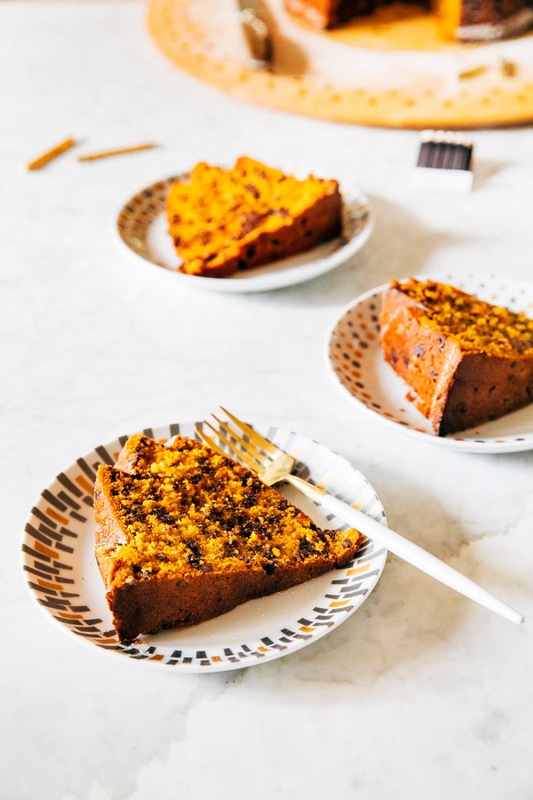 Tonka beans work wonderfully as a substitution for vanilla beans or as an addition to anything with chocolate, which is why you'll see a generous amount of mini chocolate chips studded throughout this cake. Be sure to read the baker's notes below for more information, sources, and substitutions for the tonka beans in this recipe! If you're interested in learning more about tonka beans, I particularly enjoyed this article from the BBC, this one from the Atlantic, and this one from Taste. While I purchased my tin of tonka beans in Galleries Lafayette in Paris (after a particularly inspiring chocolate tonka tart from Hugo & Victor at Fou de Patisserie), you can actually buy tonka beans fairly easily online on Amazon! However, if you're still scared/weirded out by the whole tonka bean thing, no worries. You can use a vanilla bean pod in its place! Simply split the pod lengthwise and scrape all the vanilla beans out into the batter. Let's talk about the other ingredients in this cake besides tonka beans. This cake uses four egg yolks, which I know is an annoying amount of egg yolks but trust me — it leads to an incredibly moist crumb and is somehow more orange than normal. In a pinch, you can use three eggs plus one egg yolk, but know that your cake won't be as orange or as moist as mine. 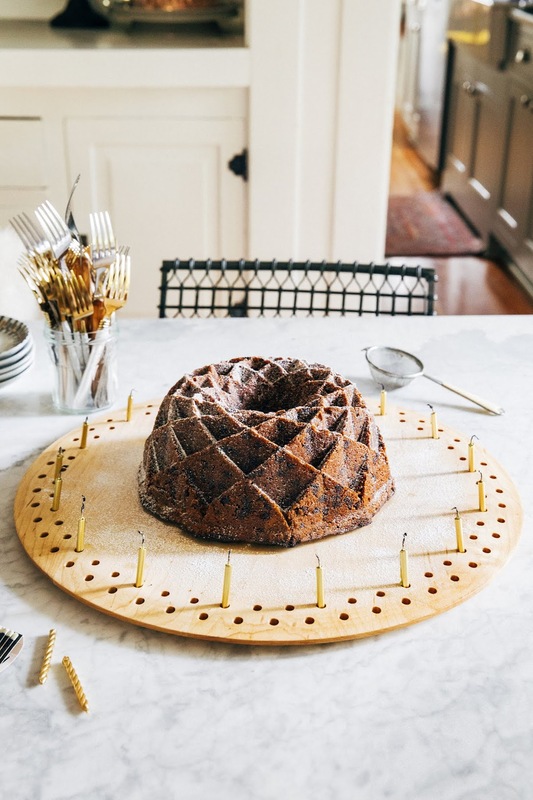 And finally, it's important to shell out for mini chocolate chips for this recipe: they suspend really well in the batter and disperse more evenly throughout the batter, and they're less prone to sticking to the bundt pan like regular chips. And finally, a note about my bundt pan: this recipe makes a crazy ton of batter, so it's important that you use a pan with a 12-cup capacity over a 10-cup one. Although a 10-cup pan (like the Nordicware Jubilee pan I used for this recipe) can hold the amount of batter, I definitely had some batter rising up and spilling down the center of bundt hole, which left a bunch of burnt cake at the bottom of my oven that I've yet to clean up. 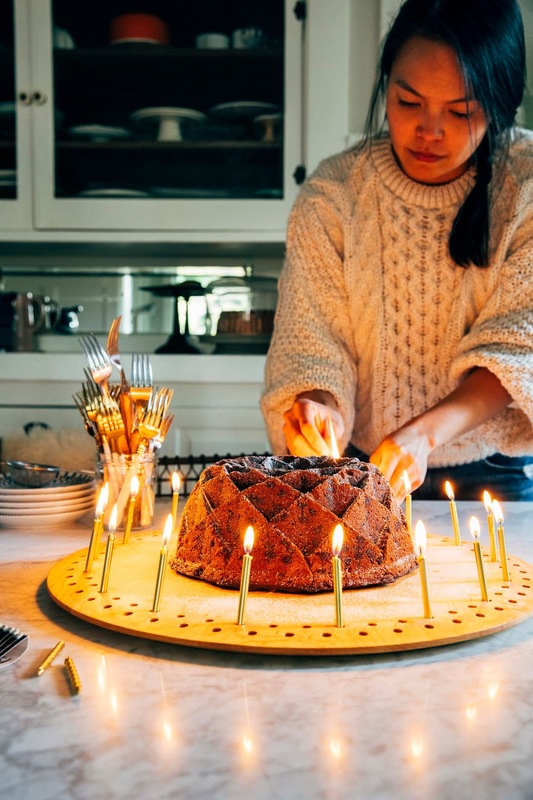 Other bundt cake tips — if you're using an elaborate bundt pan like mine with lots of sharp, tricky crevices, opt for cooking spray instead of butter and flour and be sure to use an uncomfortable amount of cooking spray to coat the pan before filling with batter. The more you use, the less likely you'll have any cake sticking to the pan; you want all the crevices and edges wet with oil. Finally, the cake will unmold best 15 to 20 minutes after it's been pulled out of the oven, when all the edges and outsides are set but the cake and pan are still warm. In a medium bowl, combine 3 cups all-purpose flour, 2 teaspoons baking powder, 1 teaspoon baking soda, and 1 teaspoon kosher salt. Use a microplane zester or nutmeg grater to grate half of the tonka bean over the dry ingredients; reserve the tonka bean half for another use. Use a whisk to combine the tonka bean and dry ingredients and set aside. In the bowl of a freestanding electric mixer fitted with a paddle attachment, combine 3/4 cup unsalted butter, 1 cup dark brown sugar, and 1 cup granulated sugar. Beat on medium-high speed until light and fluffy, about 3 minutes. Use a rubber spatula to scrape down the sides of the bowl and turn it back on to its slowest setting. Slowly stream in 1/4 cup canola oil, aiming for the sides of the bowl as opposed to the paddle. Once the oil is incorporated, add 2 large eggs, one at a time, only adding the next egg when the previous one is fully incorporated. Add 4 large egg yolks one at a time. Once all the eggs have been added, use a rubber spatula to scrape down the paddle and the bottom and sides of the bowl. Turn the mixer back on to its slowest setting and add half the dry ingredients (from the 2nd step) all at once. Once the dry ingredients have been incorporated, add 1/3 cup buttermilk all at once and continue mixing until incorporated. Add the remaining dry ingredients and continue mixing until just combined. Stop the mixer and scrape down the paddle and the bottom and sides of the bowl. Add 1 can pumpkin puree all at once and continue mixing until the batter is thick and a homogenous, bright orange. Add 14 ounces mini chocolate chips all at once and continue mixing just until the chips are well incorporated throughout the batter. Use a rubber spatula to scrape down the paddle and the bottom and sides of the bowl one more time, mixing any stray ingredients into the batter gently by hand. Generously spray a 12-cup bundt pan with cooking spray, making sure to spray the center flute and all surfaces inside the pan. Use a rubber spatula to transfer the cake batter into the pan, smoothing the top of the batter in an even layer across the pan. 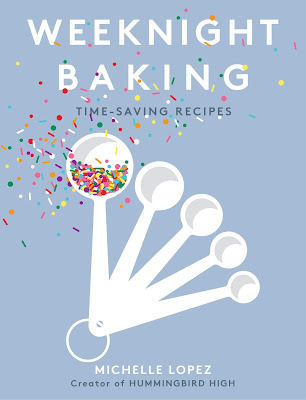 Transfer to the preheated oven and bake for 65 to 75 minutes, or until the top of the cake looks overly browned but a skewer inserted in the center of the pan comes out with few crumbs. Transfer to a wire rack and cool in the bundt pan for 20 minutes, before placing your serving plate upside down over the pan. 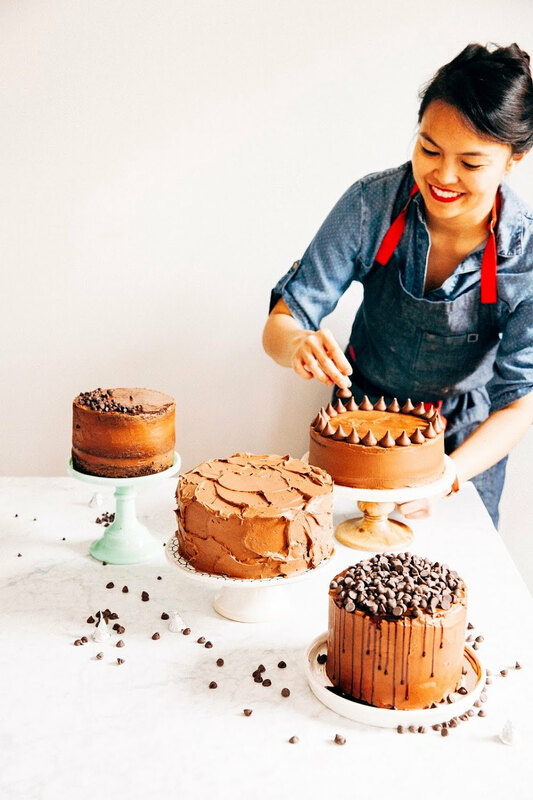 In a quick motion, turn the pan and plate the right side up — the cake should slide out easily onto your serving plate. Let cool for until slightly warm, another 50 to 60 minutes. Garnish with confectioners' sugar before serving.